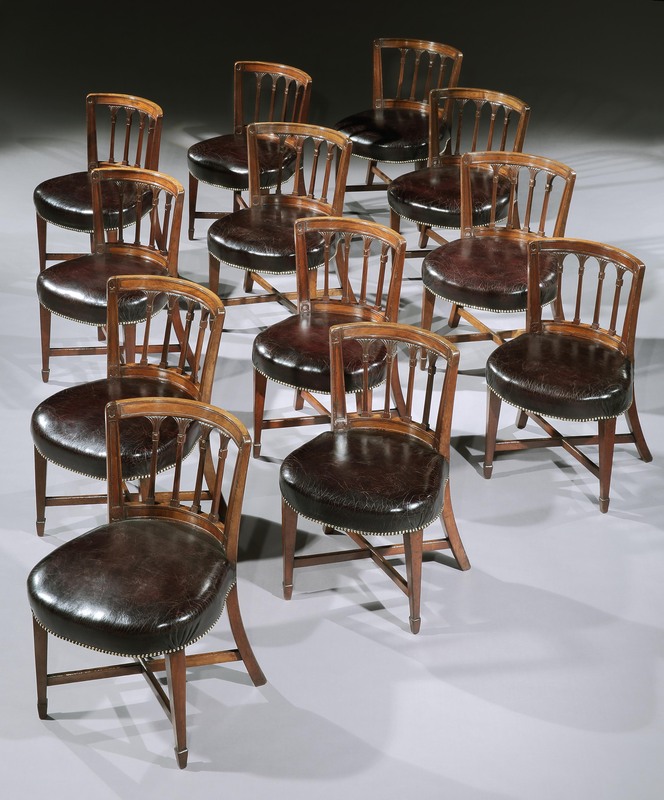 An unusual set of twelve late George III mahogany tub library chairs, the concave shaped backs with paneled uprights, outside four fishtail splats, above a round overstuffed seat, covered in maroon hide, resting on square tapered legs with spade feet. Probably made by Gillows. 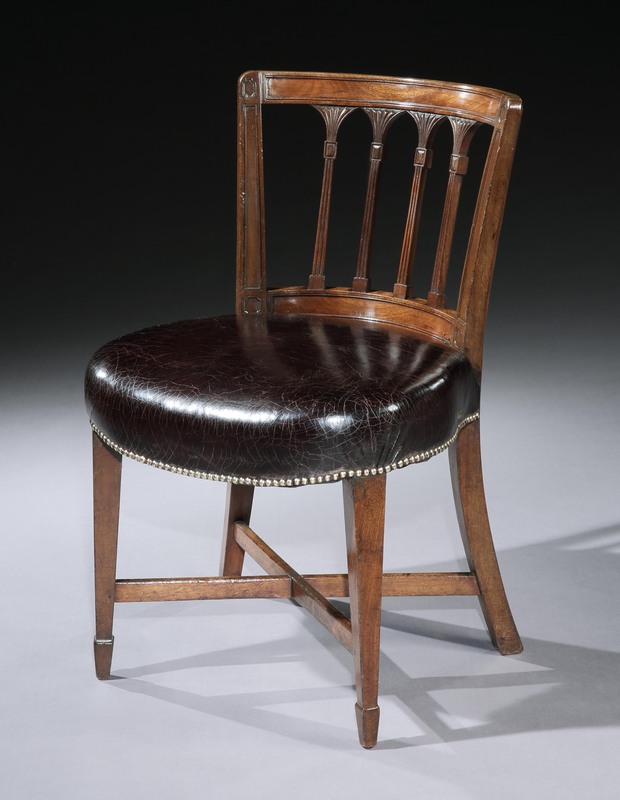 Footnote, It is interesting to note the design of these chairs, part is taken from the late 18th Century Hepplewhite design of the fishtail splats and the tapered legs, but there is also a Regency feel to the chairs, with the incased panels in the back uprights and cross bar. This would lead me to believe that the chair are probably an early Gillows model. See Gillows of Lancaster & London buy Susan E. Stuart, chairs for Halls & Lobbys page 199 plate 172 for a similar model.